Accord Hybrid EX-L Upgrade Feature highlights include: Driver's seat with 2-position memory; Front passenger's seat with 4-way power adjustment; Leather-trimmed seats; Leather-wrapped steering wheel; 450-watt premium audio system with 10 speakers, including subwoofer; HomeLink(R) remote system; Automatic-dimming rearview mirror; Heated, body-colored power side mirrors with integrated turn indicators; Courtesy lights. 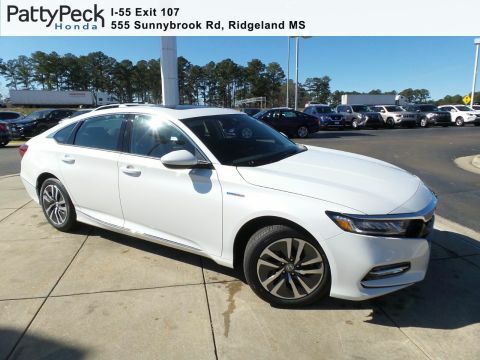 Click, Call 601-957-3400 or stop by Patty Peck Honda for a closer look and more information, we are located just minutes from Jackson I55 Exit 107 in Ridgeland MS.
EX-L Upgrade Feature highlights include: Driver's seat with 2-position memory; Front passenger's seat with 4-way power adjustment; Leather-trimmed seats; Leather-wrapped steering wheel; 450-watt premium audio system with 10 speakers, including subwoofer; HomeLink(R) remote system; Automatic-dimming rearview mirror; Heated, body-colored power side mirrors with integrated turn indicators; Courtesy lights. 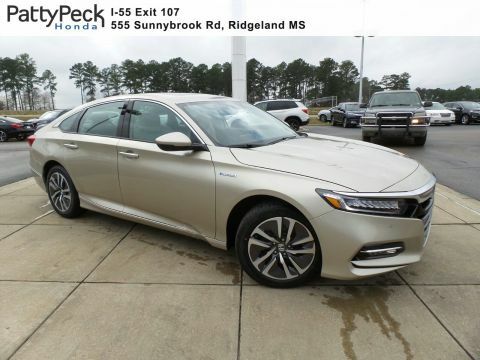 Click, Call 601-957-3400 or stop by Patty Peck Honda for a closer look and more information, we are located just minutes from Jackson I55 Exit 107 in Ridgeland MS.
At our Honda dealership serving Jackson, Madison, Brandon, and Flowood, we offer an extensive inventory at an incredible price. As you search for your brand new Honda model, you can shop with confidence knowing that our friendly sales staff is there to answer any questions you may have. The all-new Honda Accord Hybrid is the most impressive Honda yet. TheHonda Accord Hybrid is the perfect vehicle for drivers who want to lessen their impact on the environment – and look good doing so. 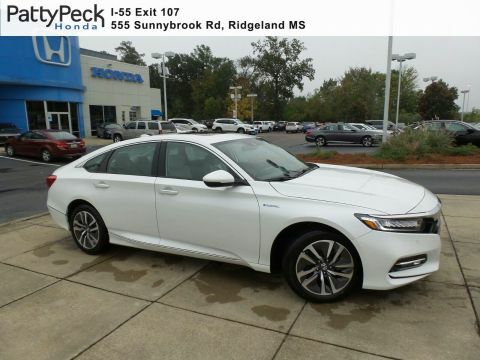 With three powertrain options and a powerful high-voltage battery, the Honda Accord Hybrid offers drivers a capable sedan without sacrificing functionality. 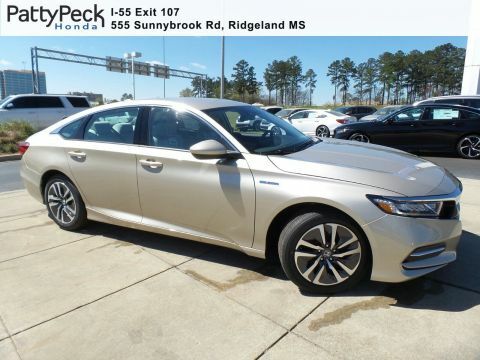 With it’s bold exterior and impressive stance, the Honda Accord Hybrid commands attention both on the road and in your driveway. 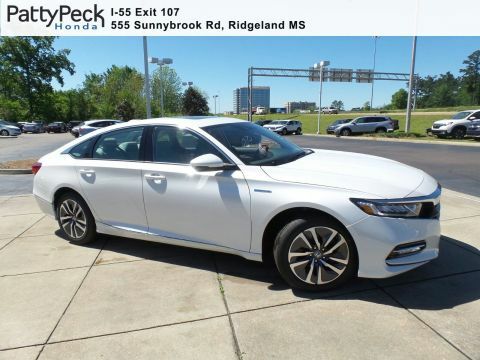 Inside the Honda Accord Hybrid, you’ll find a wealth of premium materials and features. 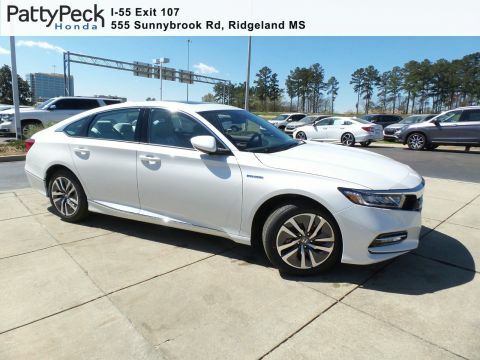 If you’re ready to upgrade to the lap of luxury, check out the Honda Accord finance and lease offers available at our Ridgeland Honda dealership. 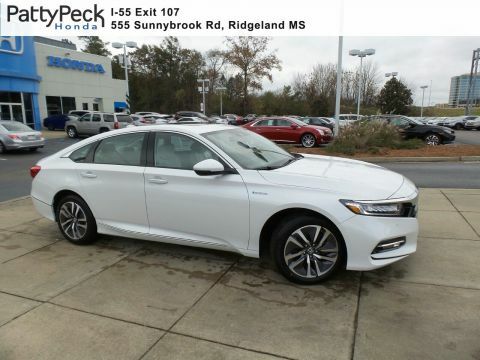 If you’re interested in seeing the Honda Accord Hybrid for yourself, don’t hesitate to contact us at Patty Peck Honda today to schedule a test drive.